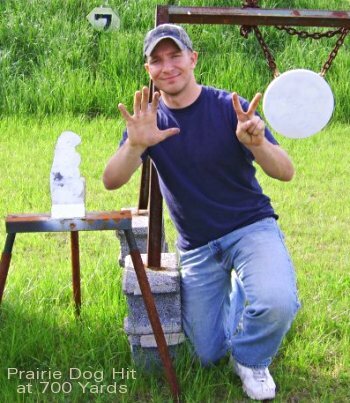 Many of our readers tell us: “I love the challenge of shooting paper in Benchrest, F-Class, or Highpower matches, but it would be fun to get some buddies together and ring some steel at multiple distances.” Well, if you’re in America’s heartland, here’s a place to go. 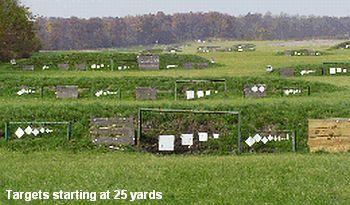 Young’s Longshot Range, in Woodruff, Indiana, is a veritable “Disneyland of Steel”, with a huge variety of reactive metal targets set at yardage-marked berms from 25 to 1000 yards. 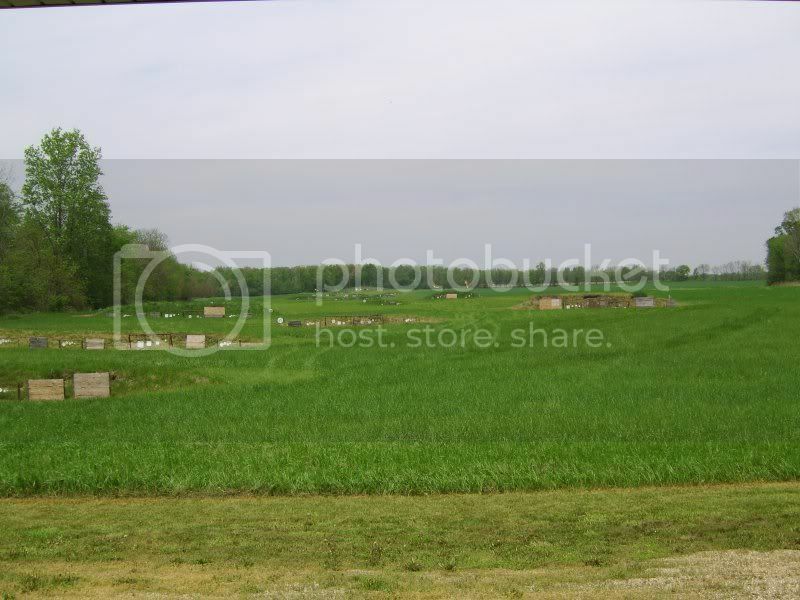 Indiana’s only 1000-yard facility, Young’s Longshot Range is open 365 days a year. It has outdoor shooting stations (both covered and uncovered), PLUS a heated building with drop-down windows for winter shooting. There’s even a raised 5 meter high platform for prone shooting. Click HERE for a nice story with full-size photos showing the range and target bays. Big thanks to Michael Sorensen (above) for that story and the larger range photos. Share the post "Indiana's Steel Target "Disneyland""
Black Hills makes some of the best .223 Rem ammunition you can buy. Here’s a good deal on .223 match ammo loaded with the very accurate 69gr Sierra MatchKing. Now through June 30, 2007, a box of 50 rounds, item #522299, is just $34.99 at MidwayUSA. That’s $6.50/box off the regular price. This is new ammo, boxer-primed, and reloadable. USER REVIEWS of this product have been very positive, with many guys reporting 1/2 MOA groups or better. Here’s what Daniel F. in Missouri reports: “I shot this ammo through a Rock River Arms AR varmint model with a 16.5″ barrel. I usually shoot Fed GMM but this was on sale so I decided to give it a try. With the Fed ammo I routinely shoot sub 1/2 MOA groups @ 100 yds. My rifle likes this ammo better. I shot three, 3-shot groups. Largest was .46″, smallest was .21″. Great ammo at any price, even better at about $0.80 a round.” NOTE: With this sale, this ammo is now $0.69 per round. 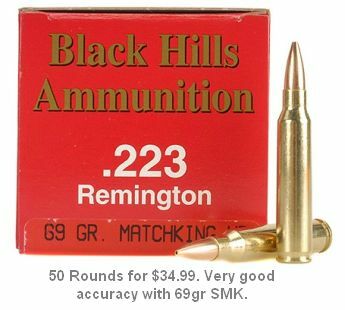 Share the post "Black Hills .223 with 69gr MKs on Sale"